Need those leaves picked up, but not sure who to call? Don’t be afraid to call Elkhart Landscape. After you’ve put those leaves on the curb, they can be a pain to clean up. Not to mention, curbside leaf pick-up is a big job. We can come alongside your company and help get those leaves picked up. No matter who you are, we can help you with this big job! Schedule a free consultation with Elkhart Landscape today. 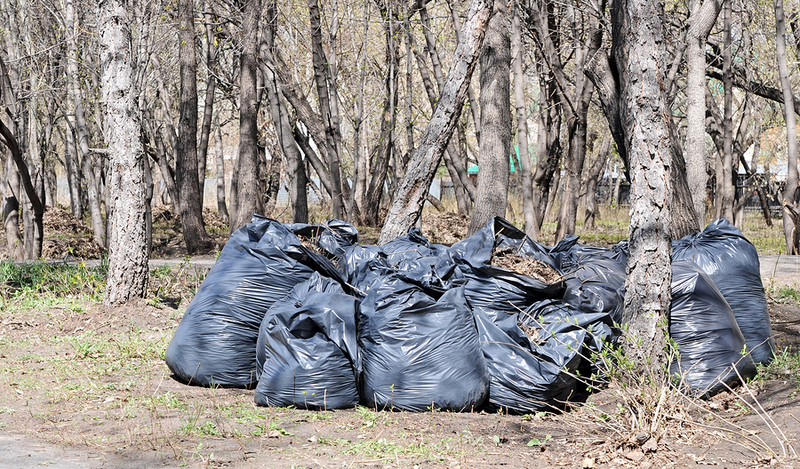 ​Elkhart Landscape For Curbside Debris Removal Serviceswill take care of the disposal of your leaves. Pile your leaves along your curbside and we will vacuum and haul them away. Ourleaf collection services help toeliminate the hassle of bagging leaves and the time consuming trips you make to the dump. You do the raking and we do theyard waste removal.You may contact us for pick-up service guidelines.Save even more time and money by not breaking a sweat. We will rake or leaf-blow your yard and haul away the leaves so that your lawn can remain the most beautiful looking property on the block in your neighborhood. If you need to cut back on trees and shrubs or rake up the leaves in your yard, then you have come to the best place on the web. You can have Elkhart Landscapehaul away that brush. We recycle one-hundred percent of brush loads at the mulching facility. Brush debris can be recycled very easy. We provide service to both residential and commercial customers. We can pick up yard and brush debris from anywhere in the service area. Our pricing for our yard debris removal includes the loading, hauling, disposal and the recycling fees. We only charge by the volume that is filled up in the truck so our price that we quote to you depends on how many cubic yards of debris that will be hauled and how much the crew can pack in our trucks. There are never hidden fees.We can safely remove, haul away, and recycle yard and brush debris including: rock, trees, flowers and pots, leaves, mulch, soil, shrubs, and sand. Heavy debris like sand, soil, and rock are subject to a heavy load surcharges. Thank you for choosing our waste management services as your service provider. We are extremely committed to providing you the highest quality service at a very cost effective rate. We have superb and well trained drivers, and a fleet of commercial heavy duty vehicles, an excellent customer service center and a the support mechanism to ensure client satisfaction. We are a waste management company working hard to deliver the most positive results for our customers who are looking for waste management services. We continue building our company on the values of trust, service, and commitment on the relationships that work for our clients, our company, and the community. Keep your lawn beautiful and depend on our expert leaf collection service. We can provide mulch for your landscaping needs from the very leaves in your own yard. We are an Eco-friendly company striving for the new Green world by dedicating our quality services to create beautiful yards. We love for our clients to join us in keeping clean yards for a beautiful greener world. Share what you have learned here with your neighbors, family, and friends, and ask them to join you in curb side pick up. You can make a difference in your community too.